Two small family businesses in Aberdeen have been left in tatters after a fire destroyed their shared premises. 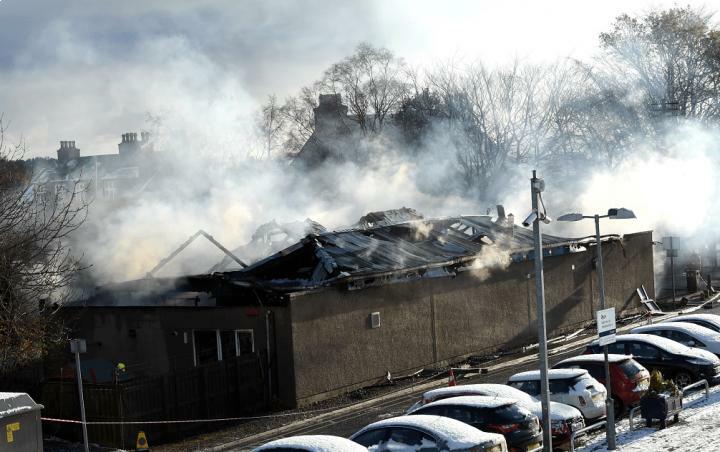 More than 35 firefighters attended the blaze in Station Road, Dyce but could do little to save the Sea Salt and Sole fish and chips restaurant or the neighbouring J Puddleducks nursery. The building that the two family-run firms share was "completely destroyed" as it crumbled like Lego, one fire chief said. Businesses must always be alert to the risk of devastating incidents like this, and business insurance provides a key safety net to cushion the blow of fires. Whether it is office insurance, shop insurance or restaurant insurance, these policies provide cover for the business and its assets - they can also include business interruption cover, which will provide financial support in cases when a business must close for an extended period of time. Despite only opening in November last year, Sea Salt and Sole has already become hugely popular in Dyce; in September it was nominated for the best newcomer accolade at the National Fish and Chip Awards 2016. Owner Rikki Pirie declined to comment, but his wife Gillian said he and his family were "devastated" by what had happened. Joanne Fowler, the owner of J Puddleduck’s after school club, added: "We’re pretty traumatised, it’s been all very shocking and hectic. We’re still trying to come up with a plan for what we’re going to do for tomorrow. "We’ve not been allowed very close to the building as it’s still not safe, but apparently the building has been completely destroyed." No one was hurt in the blaze, which occurred at 4am on Sunday (22 November). Fire chiefs said the cause of the fire is “unexplained”, but an investigation is now underway.